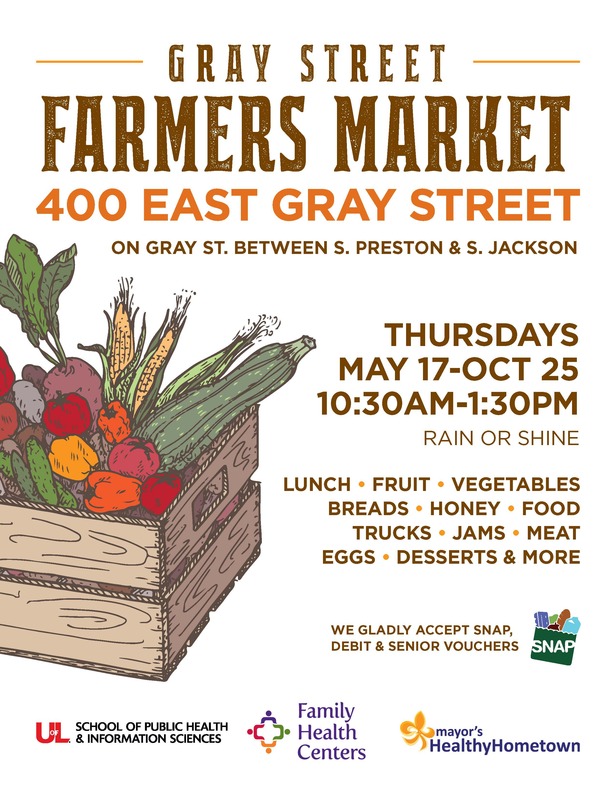 The Gray Street Farmers Market (GSFM) will be open from 10:30 a.m. to 1:30 p.m. every Thursday from May 17 through October 25, 2018. The market is located on the 400 block of E. Gray Street, between S. Preston and S. Jackson streets. Click here to get directions.